A talk by Heimgest DCG to the 2258 Great Moot. Once again we meet together and once more that fact in itself is worthy of celebration, for these are dark times for our folk and those who fight for our folk’s advance. And this year of course, the economic situation, the so called credit crunch, has bitten hard making costs of travel, accommodation, etc. even more expensive. I know there are quite a few comrades who had intended to be here but who were unable to do so because they just could not afford the air fares. So it is maybe an especial pleasure to see those here today and from different geographical nations, gathered here as members of our first nation, The Odin Nation. And so we can give thanks for the fact this event has been held and thanks to all those who have made it possible. I hope all here have found it enjoyable, and interesting. Our speakers have touched on a variety of topics and I hope all have found them as interesting as I have. I hope the special ritual was energizing and of course, we have the main blot to come, and that is probably the most important part of the day. As to my address to you, I wasn’t sure what I would speak of and I have only jotted down a couple of things as we have been sitting here today. In fact it was while I was sitting here it dawned on me again, that one way or another, I have been active in the struggle for 40 years. It was around May 40 years ago that I first really stepped in active work when I organised a cultural action at my school. Though it wasn’t explicitly Odinist, it was I think Odinically inspired and I was already an Odinist. In those 40 years much has happened and I have seen many changes. Some negative, some positive as is always the case. In that time I have seen many comrades come and others depart. Some have died, some just drifted away and others burned out. There have also of course, been many lessons learned and we have learned from experience, not just theory, but actual experience. I think that is a characteristic of the Rite: we speak from and act from experience not just theory. And one lesson of course that we have learned the hard way, is that not all those who claim to follow the same faith as us are our friends; for often they are not. And then again there are the false friends. This can be discouraging to some. And I think at one time or another, everyone who is an activist, everyone who is dedicated to advancing the OR and therefore our folk, everyone who strives to live by the noble virtues and gives dedication to our struggle; I think there are times when all of those members can feel discouraged. And yes, our path, our struggle can be very hard. But it is bound to be hard because we are the Vanguard of the New Awakening, it is us who have to fight for every inch gained. All that we do, all that we have done, we do and have done as volunteers. We get no grants from the establishment, we get no help from any of them; all we achieve we achieve from our own work and struggle. At times we can become impatient, we can be discouraged. It can also be very discouraging to see that others, even our own comrades, do not seem to have the same zeal as we may have. They do not seem to have the same level of dedication, they do not show the same degree of self sacrifice, they do not even support initiatives others have done the work in launching. I know that can be very frustrating. And it is tempting to get frustrated with our folk in general. We may not understand how once they have heard of Odinism that they aren’t immediately filled with the same fire we have. It used to drive me near mad. 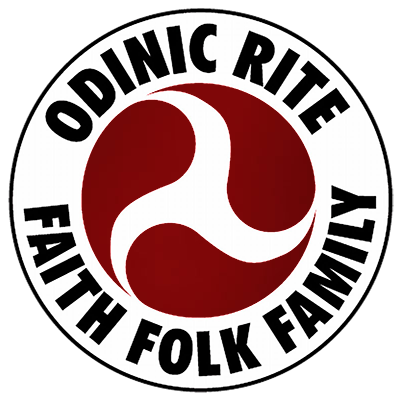 I would spend hours and hours talking and debating and presenting Odinism and the Odinic folk awareness. And it dismayed me that once they heard of their folk faith, they showed no interest in it- why they didn’t seem to understand and why they seemed so deliberately stupid. I was of course a younger fellow then and prone to both idealism and hot headedness. The idealism remains, though probably tempered now with more understanding; but the hot headed frustration is much reduced. And there is one lesson which helped greatly with this. Once I understood it, my frustration with people became far less and my expectations that they would all understand- that they would all be as dedicated and as active as the core of activists; I realised they were just not based on the reality of human nature and human development. And to those of you who may at times despair and get frustrated, I will now give that lesson. Its “H’s Cats and Pianos teaching.” At one point, I had a quite amazing cat called Merlin; he was great at catching mice, he was intelligent, he could open doors and he was very vocal and joined in gealdor. But he couldn’t play the piano… It wouldn’t matter how long he sat at a piano, he would never be able to play it. Maybe he could walk on the keys and make some kind of sound, but that’s not playing it. And of course it would be totally unreasonable of me to have expected him to play the piano because obviously, it is just something beyond his capability. And so it is with people. People are NOT all equal. Some people are just not able to truly understand things at the level of development they are at and they are just not capable of giving the same level of dedication as others. And when that is realised, the frustration level goes down a lot. Another thing to banish despair and disappointment is to look at why we do what we do. Now we may have results we hope are achieved and maybe they will be, maybe they won’t. But this idea of “success” or “failure,” which is largely illusion anyway, should not be why we do what we do. Yes we work for our folk’s advance; but in doing so it advances us. We should do what we do because it is right for us to do it regardless of whether the results we may wish come or not. If you just work for others, then you will become discouraged; so you must work also for yourself, for your development, your individual advance and because it is right for you to do. Now that may sound selfish but actually it isn’t, because we are not separate. We are links in the folk chain. So if we can personally become more evolved, then of course we help our folk by being a strong link in the chain. By the same token, if we do not advance to the best of our ability and if we devolve, then we lessen ourselves and therefore our folk by becoming weak links in the folk chain. So in reality, that striving to advance and evolve is not selfish. So if you ever find yourself feeling frustrated by others, then remember “Cats and Pianos” and the fact what you do, you do because it is right. It won’t dispel all irritation with people, but it does help a great deal. Remaining positive in the face of all obstacles is something which helps carry us forward. Now it would be very easy in these times to feel a deep despair We can look at our lands and see they are governed by traitors. Those who have been entrusted to guide and lead our nations have betrayed them. They have given away the rights our ancestors fought so hard to win. They have given permission for our earth to be poisoned. Even our skies they allow to be polluted by the toxic nightmares that are chemtrails. They do not care for the folk, that is clear; and why would they when in many cases, they are stranger folk and in others they are in the pay of a stranger folk. In our own lands, the lands won and nurtured by generations of our ancestors’ blood, sweat, and tears, made sacred by their sacrifices; in these our own lands where our divinities were known, we who remember them and know them still. We who would restore beauty are oppressed in our own lands for worshipping our true Gods. And we are lied about and misrepresented. It is an irony, a sick irony that we who honour diversity and who would protect the wonderful diversity of species that nature has given, are accused of being hateful. Is it hate to seek to protect our Mother Earth? No it is not. Is it hate to celebrate and preserve the rich diversity of nature? NO it is not. And humanity, as part of nature, has a diversity which is sacred and should be protected and cherished, not ground into a cultureless, spiritless, rootless mass. To destroy the uniqueness of humanity, that is hate. To seek to tear folk from their folk soul, to cut them off from their ancestors, that is hate; to destroy their culture, that is hate. We oppose all that which is hateful. These are dark times; but in such gloom, that which glows is all the more radiant and shining. In the gloom is the Awakening of our holy faith. So let us not despair no matter how dark things may seem, for we are Odinists and we can see via Odinism our majestic place in creation. And that is what Odinism is; it is our gift from creation and our responsibility to it. No matter how dark this time, we are never lost from the High Ones’ sight and we only need look within and around to see them and feel their presence.